Set-in-sleeve design. Self coloured buttons. Half moon yoke. Self fabric side panels. Drop tail with side vents for extra comfort. 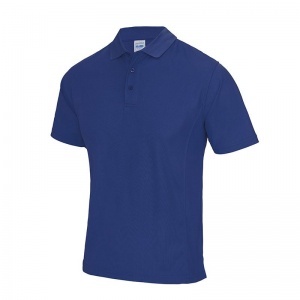 Enhanced SuperCool fabric with superior wicking properties and anti-bacterial finish. Self-fabric sapphire blue taped back neck. Twin needle stitching detail. 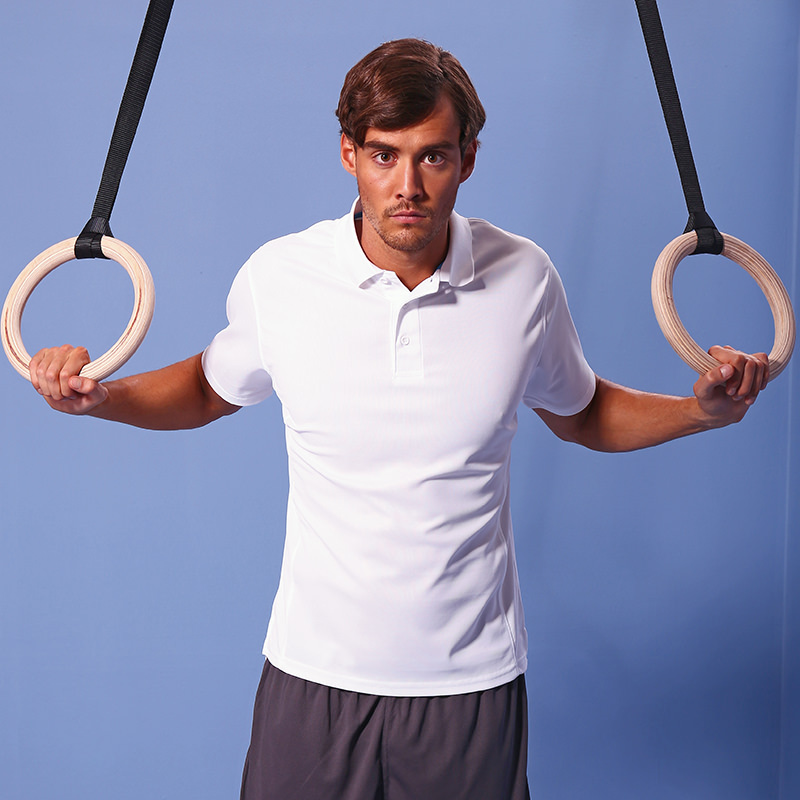 Flat knit rib collar with 3 button placket. Simple tear off label makes it perfect for rebranding. UPF 30+ UV protection. Worldwide Responsible Accredited Production (WRAP) certified production. S (38")", M (40")", L (43")", XL (45")", XXL (48")"